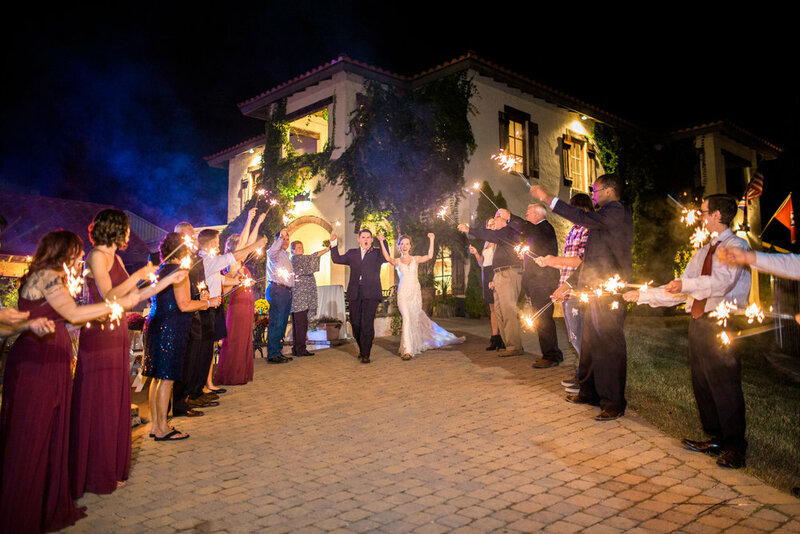 The Crown Winery, featuring a lush vineyard and Tuscan villa, is a beautiful setting for a wedding. It is especially great for a late summer or early fall wedding when the vines are full during harvest. A mulberry tree on a hill serves as a picturesque backdrop for a wedding ceremony at the Crown Winery, and the rustic Queen’s Pavilion is a great space for a reception. Other available rooms include the Coronation Room and Royal Room inside the villa. One of the highlights of a wedding at The Crown Winery is the abundance of locations for photographs, especially during the hour before sunset when the vineyard is bathed in warm light. The variety of spaces is also an asset for couples who want their guests to be able to move freely during the reception. Pricing for the Crown Winery is à la carte, and a full list can be found on their website. Twin Oaks is a classic antebellum home tucked away off Main Street in Humboldt. The home was built in the mid-1800s and is a grand and impressive backdrop for a wedding ceremony. The light on the house is best right before sunset when the sun is low enough to be blocked by the large, mature trees. This early-evening light makes for a perfect, romantic setting for exchanging vows. The pavilion that the current owners Terrie and Keith Hopper built behind the house provides ample space for a reception. The draped fabric and gorgeous antique chandelier add a certain elegance to the space. The landscaping at Twin Oaks really shines in the spring and summer, and the venue provides tables and chairs for up to 150 guests. 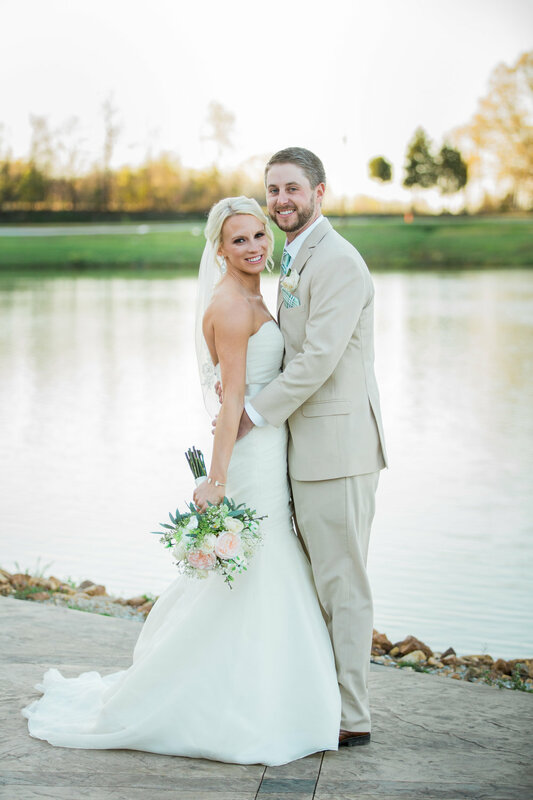 Terrie and Keith do all they can to make each wedding special and memorable. For the past several years, barn venues have been a go-to for weddings all over the country. The Barn at Snider Farms provides a rustic, country feel with modern conveniences such as a fully-equipped kitchen and sound system. 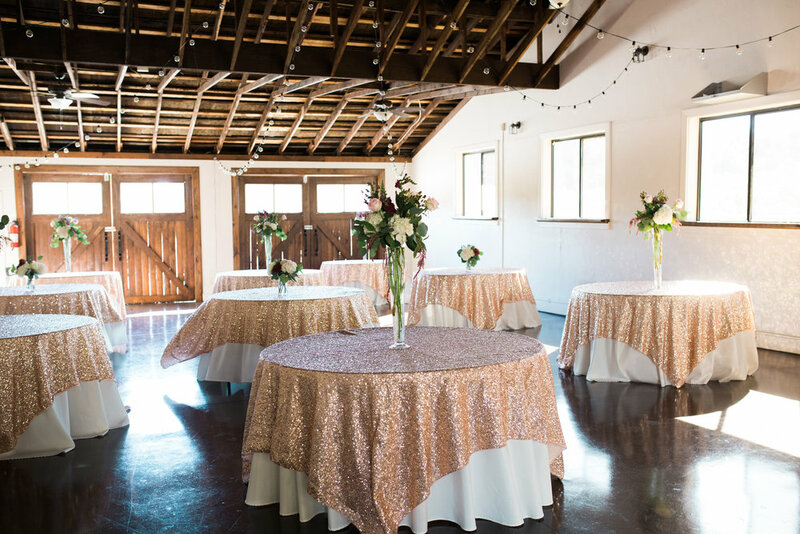 The barn is spacious, and with the recent addition of a covered patio, it can accommodate a large wedding. 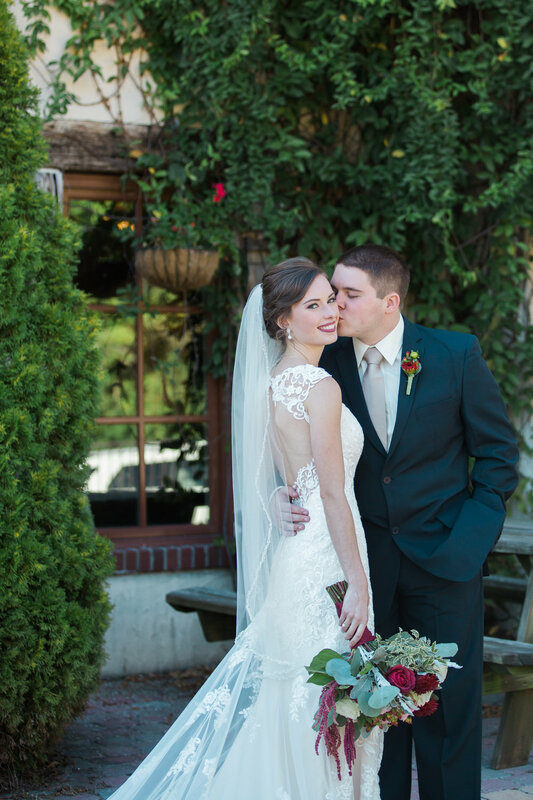 Snider Farms provides a very charming atmosphere and several options for a ceremony location. The front patio overlooking the pond is a beautiful setting for a sunset wedding, while the wooded area outside the barn is perfect and shaded for a daytime event. One of the most unique locations for a wedding in this area is The Opera House, located in the heart of Humboldt. This downtown building was converted from a retail space and now features beautiful exposed brick walls, hardwood floors, and a flood of natural light from the large windows. 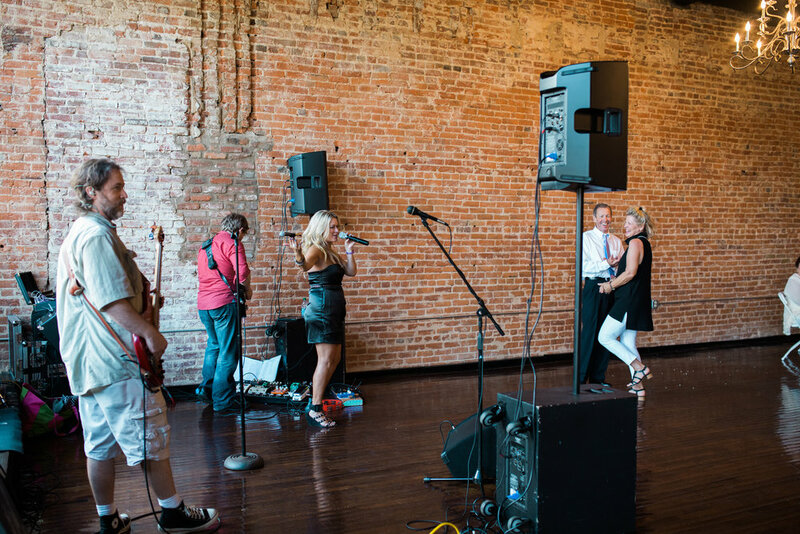 It truly feels like an urban event space in a big city, but it is nestled in a charming downtown area with plenty of free parking. The Opera House features two floors that can be used for a ceremony or reception. 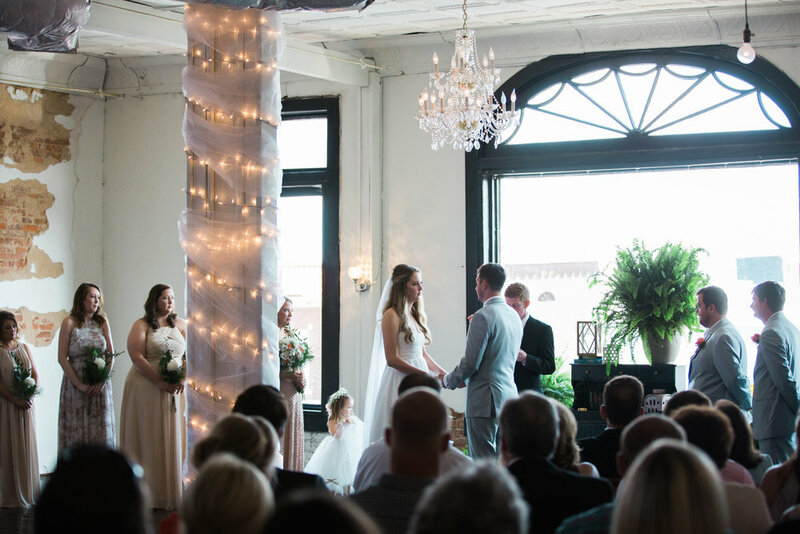 The upstairs space with white walls, dark hardwood floors, and a crystal chandelier is perfect for a ceremony with up to 150 guests. They also recently added a courtyard space that is beautiful for pictures or a small, intimate ceremony setting. The team at The Opera House has included several sample layouts and resources on their website, which is demonstrative of how helpful and accommodating the owners are during the wedding planning process. 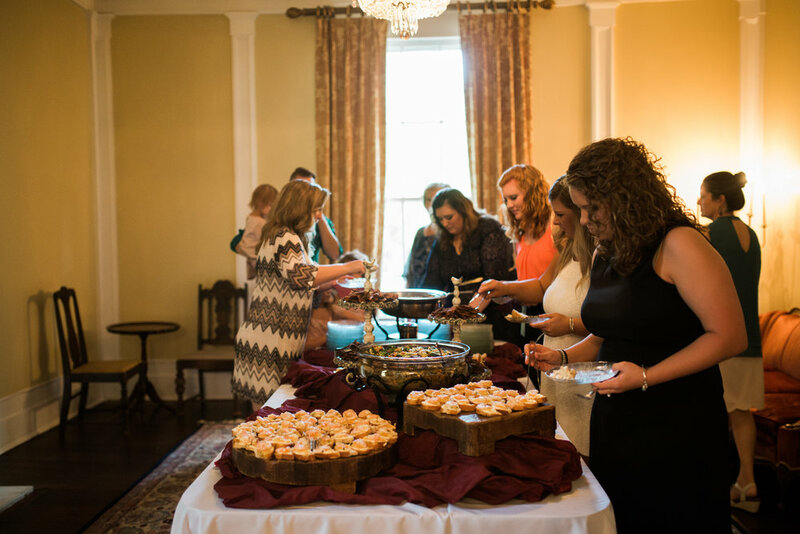 To see more of Kristi's wedding photography and the explore more wedding venues in Jackson, visit the Woody & Pearl website, Instagram, and Facebook page.